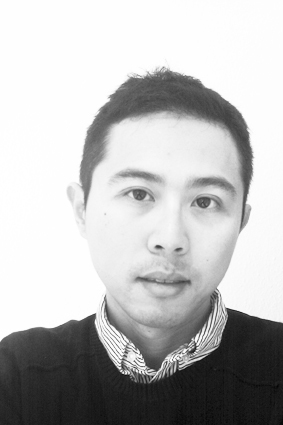 Immanuel Koh is an independent creative-coder & architect, whose works investigate the real-time visualization/manipulation of data and their implications on generative designs in urbanism, architecture, design interaction & art. He graduated from the National University of Singapore and the Architectural Association (AA) London, with the AA Graduate Bursary at the AADRL, and has since been the Unit Master at various AA Global Visiting Schools. He has taught at Masterclass Studio Hadid in Die Angewandte (Vienna), Strelka Institute for Media, Architecture & Design (Moscow), Royal College of Art (London), Ecole Spéciale d´Architecture (Paris), ITU (Istanbul), Hong Kong University (HK/Shanghai), Tsinghua University (Beijing), Harbin Institute of Technology (Heilongjiang), Guangzhou Academy of Fine Arts (Guangdong), Huazhong University of Technology (Wuhan), Tamkang University (Taipei), National University of Singapore and many others worldwide. He was a Visiting Researcher for the Ambient Intelligence Lab at the Interactive & Digital Media Institute (Singapore) with funding from the National Research Foundation of Singapore (NRF). His work has been exhibited and published internationally (e.g. Milan, Thessalonki, Orleans, Hong Kong, Shanghai, Berlin, London, Singapore, Wuhan, Moscow, Taipei…etc). He has also presented research papers and led workshops at international CAAD conferences (e.g. CAADRIA…etc), as well as, invited as an artist/designer to showcase his experimental design prototypes at international art museums (e.g. London’s Victoria & Albert Museum…etc.). Previously, Immanuel has practised architecture and researched on interactive systems at Zaha Hadid Architects (London), as well as, in Berlin and Singapore. He has also taught as a Unit Master and Scripting Course Master at Dessau Institute of Architecture (Bauhaus) Graduate School, Course Tutor at the AA’s Media Studies (AAMS) and Interprofessional Studio (AAIS), teaching creative-coding within an interdisciplinary context. Immanuel is the founder and director of “Generative Glass” research initiatives at Taipei’s Tittot Glass Art Museum, which explores robotics and computation for architectural glass fabrication. Currently, he provides consultancy in design software development with London-based offices such as ARUP, ecologicStudio and Relational Urbanism. Academically, he works as a Research Scientist with SUTD’s Artificial Design Lab & MIT’s Artificial Intelligence Lab (CSAIL). He is also a Visiting Lecturer at Harvard Graduate School of Design (GSD) and University College London (UCL/Bartlett), while working on his PhD on the subject of ‘Design Decoding & Artificial Design’ at Swiss Federal Institute of Technology /École Polytechnique Fédérale de Lausanne (EPFL) in Switzerland.